Happy 2nd day of spring my lovelies!! If Ohio weather is anything to go by, I'd say we are still in winter because we just had a heap of snow and it's freezing cold outside. Just like life is unpredictable, you just have to grab it by the horns and keep going. Nothing will stop this girl from doing anything!!. I can do all things through Christ who strengthens me! For I know the plans the Lord has for me and they are good, so Good that The devil is trying too hard to distract me ha-ha not today devil!! Ok enough about the dreary weather and all the negativity. Let's talk about these stripes. There are so many variations of stripes, the very thin ones, mixed stripes with various widths, the bold ones, and then you also have the white space in between etc. Today we are talking about bold stripes. The wider the stripe, the bolder the statement. Here are a few tips on how to style these. For plus size it’s a lie that you should avoid horizontal stripes because they make you look bulky? girl please!, they actually have the opposite effect, you appear taller and more three-dimensional when wearing horizontal stripes especially... please check out Dionne's Instagram page and see how she slays horizontal stripes and kills it everytime! (@iamdionnedean)so wear those stripes girls! 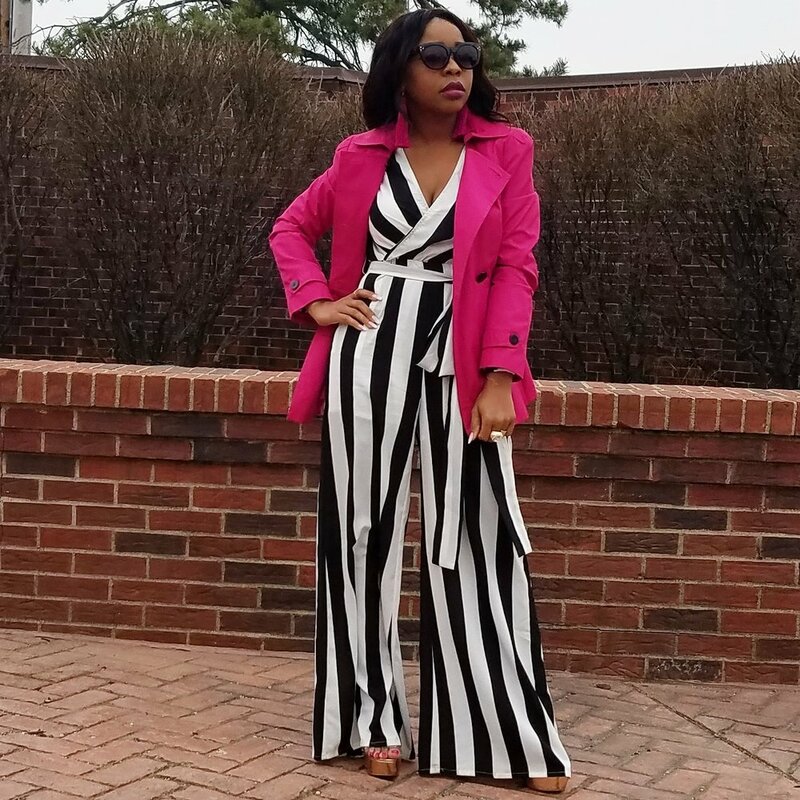 For shorter girls, vertical stripes like this jumpsuit will make you look taller with long legs. Add a pop of color when you wear stripes, bottom or top, it makes the stripes bolder! For stripes of many colors, take one colors and emphasize it with the rest of your outfit. Or if you want you can wear all the colors and make your own statement e.g. yellow shoes, pink earrings and a green bag! it’s all up to you. If wide stripes are too much for you, you can go simple with Pinstripes. They look especially great for business or work wear. There you have it folks. I hope that was helpful. My favorite color is red and that was my first go to color for styling this jumpsuit, but then I realized c’mon girl, try something different Yeah, of course I talk to myself. 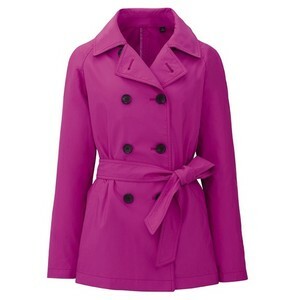 Sometimes I need expert advice lol so I searched for a pop of color that I don’t usually wear, Pink!! and so here we are. I must say I love it! This is beautifully styled don’t you think? Simple yet classy! Everybody agrees? Ok thank you. Mar 13 SPOTTED IN VINTAGE!